Home » usairways » Let's Talk Safety Climate and the Airlines: "Welcome Aboard"
Let's Talk Safety Climate and the Airlines: "Welcome Aboard"
I spent the past few weeks out on vacation in the beautiful Pacific Northwest (which explains my brief absence from Pop Health). While the trip was wonderful, it is quite nice to be back on the blog. And in fact, my trip provided me with the inspiration for this post. On my return flight home, I encountered an array of travel nightmares (delays, mechanical problems, cancelled flights, lost luggage). While many people may just consider these as an inconvenience, they also got me thinking about my safety. As we sat at the gate and waited for test after test, my husband assured me that they wouldn't put us on the plane if it wasn't safe. However, I wondered aloud if that was true. With the pressure for the airlines to have better on-time statistics and less angry customers, can we be put on a plane that is unsafe? My experience with USAirways, the similar experiences that I read about on Twitter, and the information I found regarding their dysfunctional relationship with their Pilots Association got me interested in the safety climate of the airline industry. Everyday we encounter airline advertising that hopes to recruit our business by highlighting a company's high standards for safety, comfort, reasonable prices, and customer service. The ads also try to capitalize on things that we value, for example- freedom. Some memorable slogans include, "You are now free to move about the country" (Southwest); "We love to fly and it shows" (Delta); "Come fly the friendly skies" (United). While these slogans are catchy and convincing, they represent the "espoused values" of the airlines. Espoused values are values and norms stated by the organization. They can often be found in companies' strategic plans, goals, and/or taglines. For example, USAirways has an initiative called "Customers First" which strives to address key service elements that affect their customers. In addition to espoused values, we also find "enacted values"; these are the norms that are actually exhibited by employees. These values may or may not be in line with the espoused values. That is why even though "Customers First" can be an espoused value, you can still end up bumped off a flight and sleeping in the airport because the rude gate agent told you there was no flight availability. In order to hear about other customers experiences with enacted values, I turned to Twitter and was amazed by what I saw. There were hundreds of comments to or about @usairways that were identical to mine- lots of mechanical failures ending in flight cancellations and luggage that was lost for days. I understand Twitter may be skewed towards the negative because people are less likely to tweet about the on-time departures...however, if you look at another airline (e.g., @southwestair) you see almost nothing about mechanical problems. A less biased way to learn about employees' values and their level of congruence with the organization executives, is to hear from them directly. Just a few weeks ago, the US Airline Pilot Association- USAPA (the union that represents USAirways pilots), posted on their website to alert customers to the pressure they are receiving from USAirways executives to fly under unsafe conditions. 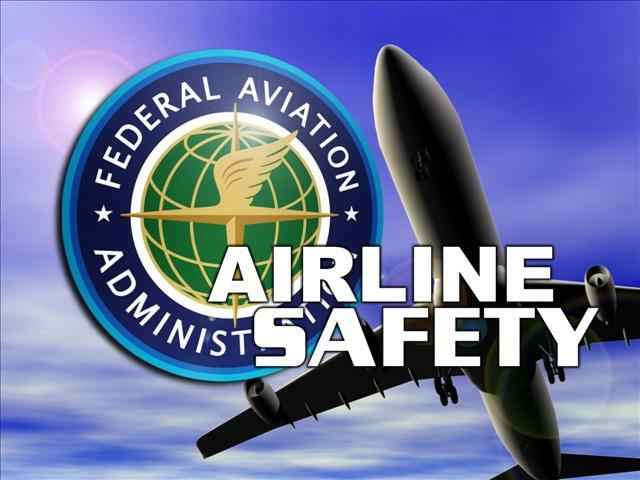 On June 16, 2011, a pilot with 30-years of experience was escorted from the airport after she refused to fly a plane overseas after it failed multiple safety checks. A second group of pilots refused to fly the plane as well. This is not the first time that USAPA has spoken out against the executives. In 2008, they posted a customer alert in USA Today because they were being pressured to fly with less fuel in order to save money. The examination and measurement of espoused/enacted values and their connection to safety outcomes (e.g., occupational injuries) is the exciting field of safety climate research. The term "safety climate" was coined in 1980 by Dr. Dov Zohar and has been prevalent in the Industrial and Organizational Psychology literature before making its way into the public health literature. For those interested, the journal Accident Analysis & Prevention recently dedicated an issue to safety climate and occupational health. Safety climate research has been used to assess the climate of a variety of industries (e.g., healthcare). I propose that it is essential for examining the values within individual airlines and their connection to safety outcomes (e.g., worker injuries, passenger injuries, mechanical failures, near-misses, etc). The discrepancy discussed above between employee and company values can become a very dangerous combination. Related Posts : Let's Talk Safety Climate and the Airlines: "Welcome Aboard"